My colleagues at Kerseys have previously written about Jaffa Cakes and KitKats so I thought I would continue the tradition by bring you news of an ongoing dispute between Mondelez, the multinational that owns Toblerone, and retailer Poundland. Towards the end of 2016, following the devaluing in the pound after the Brexit referendum result, Toblerone managed not to increase its UK price by reducing the amount of chocolate within its distinctive packaging. It did this by increasing the gaps between the chocolate peaks. Reducing the amount of a product to keep its price low is not unusual – it even has its own name “shrinkflation”. The need to keep the price point was, for obvious reasons, very important for Poundland. 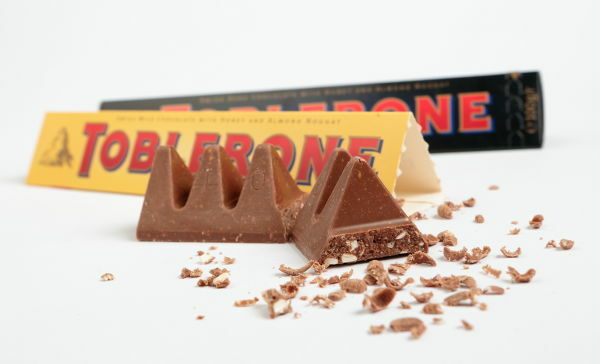 However, it became increasingly difficult to keep a supply of Toblerone which they could sell for £1 so, as shown in the recent ITV programme “Trouble in Poundland”, they decided to design their own product, to be made in the UK, to replace Toblerone. The result was the Twin Peaks bar. A chocolate and nougat bar of similar shape and packaging but with two chocolate peaks rather than Toblerone’s one and, to keep the customer happy, weightier than the shrunk Toblerone. Unsurprisingly Toblerone are not happy about that and as Poundland are reported to have sold 11m Toblerone bars last year it is no small beer. Mondelez has started a High Court claim that the Twin Peaks bar breaches its trademark in the shape, colouring of the packaging and mountain logo. It is also claiming “passing off”; a legal claim that one product is using the goodwill and reputation of another – notable examples include a dispute over the Jif lemon-shaped juice container and a claim by L’Oréal about “smell alike” perfumes. You may have read my colleague Anthony Wooding’s blog about the KitKat dispute in which KitKat failed to trademark its shape (click here to read) because it was not distinctive enough. Toblerone have already overcome this hurdle and have held an EU trademark since 1997. However Poundland have, rather cleverly, countered that the distinctiveness has been lost by the changed spacing between the peaks in the shrunk version and in doing so they have abandoned the trademark. Furthermore, the original registered version is no longer on sale in the UK. Of course, if Toblerone let other chocolate bars infringe their trademark it will inevitably lose its distinctiveness so they need to take action now or risk losing the grounds for any actions in the future. The case is ongoing so I cannot say who will “win” this one but you will notice if you visit Poundland that the Twin Peaks bars are not yet on sale despite their having planned to sell them from the beginning of July. Watch the shelves to see what happens?